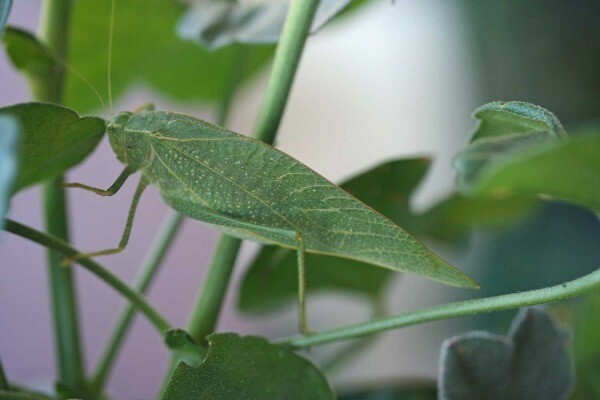 Katydids or leaf bugs actually resemble walking leaves, in the same way as walking stick bugs look like twigs. These are not related to Phylliidae or walking leaf insects. 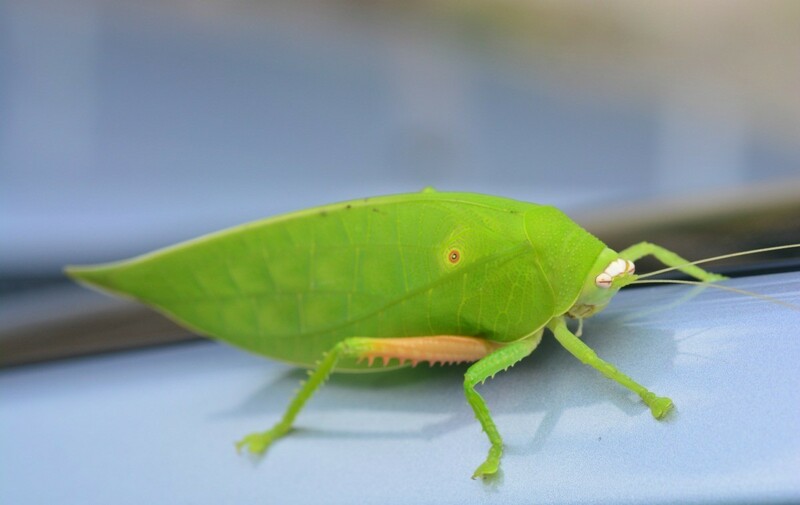 This page contains Katydid (leaf bug) photos. 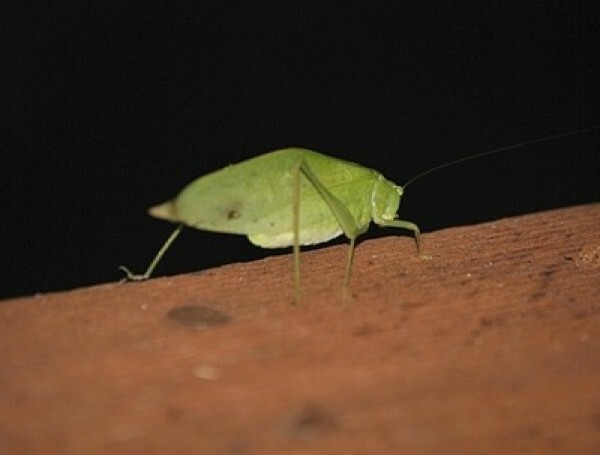 This beautiful little leaf bug crawled all the way up to me, as I enjoyed my evening coffee last fall on a cabin deck in Gatlinburg, TN. Among all the breathtaking scenery, he was so tiny (some might say insignificant) but he seemed so proud of his dashing lime green outfit. Who could have passed up taking a picture of that pose? This katydid appeared to be lost as it sat on our picture window looking I don't know where, but it seemed to be looking in as if to be asking directions to the garden. Since we have already cleaned off our garden he seemed quite confused as to where he was supposed to go. He allowed me to get quite close and take several pictures before he left us for more fruitful lands. 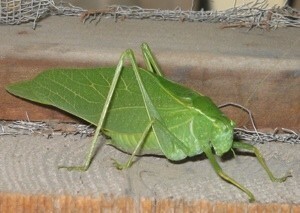 Editor's Note: This insect has been identified as a katydid instead of a praying mantis so we have corrected the entry.